Everyone’s teeth succumb to wear at some point throughout their lives. That’s because you’ve only got one set of adult teeth, and they have to stand up to plenty — food, drinks, bacteria, and not to mention physical damage. Almost no one makes it through their entire life without some oral health issue, but that’s why you have your dentist. In addition to providing general dental care for your teeth and gums, your dentist can give you the restorative treatment you need. If you have a damaged or infected tooth, talk to your dentist about how you can repair it. Determining what type of restoration you need is all about evaluating your personal situation. Your dentist has a variety of restorative options and his or her disposal, including dental fillings, dental crowns, and dental prosthetics. In order to determining which restoration you need, your dentist has to see you! Reaching out and scheduling a dentist appointment is the first step in receiving care. If your dentist determines that you have one or several cavities, he or she will likely recommend a dental filling to repair the problem. Dental fillings are typically made from metal alloy, dental porcelain, or a clear dental resin. Depending on the location and severity of your cavity, your dentist can help you decide which material is best for your particular situation. This treatment is straightforward and doesn’t require much of a recovery timetable. In more serious cases of infection or physical damage, your dentist may need to use a dental crown. Dental crowns are made to look like your natural tooth. They fit over the top of a damaged tooth to protect it from further decay or harm. If a filling alone isn’t enough to repair your tooth, or if you need root canal therapy for a tooth, your dentist will often recommend a crown as well. Some cases of decay or damage are so severe that you end up losing a tooth or needing to have it extracted. In these cases, your dentist can give you a dental prosthetic to recreate the appearance and function of your natural tooth. Dental bridges or dentures can replace one or many missing teeth. If your teeth have been damaged by bacteria or an accident, Greenhaven Family Dental provides a way forward. 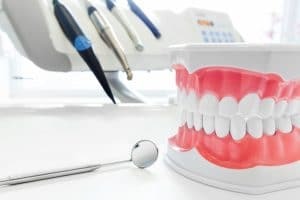 The expert care from Dr. Roberts and his staff can repair your damaged teeth and have you feeling good about your smile. The first step is scheduling an appointment. Do so by calling Greenhaven Family Dental in Baxter, MN at 218-454-0523. © 2019 Greenhaven Family Dental. Accessibility Statement.